Sebastian Lindner will be responsible for communications about bus and coach-related topics with international relevance at MAN Truck & Bus AG. 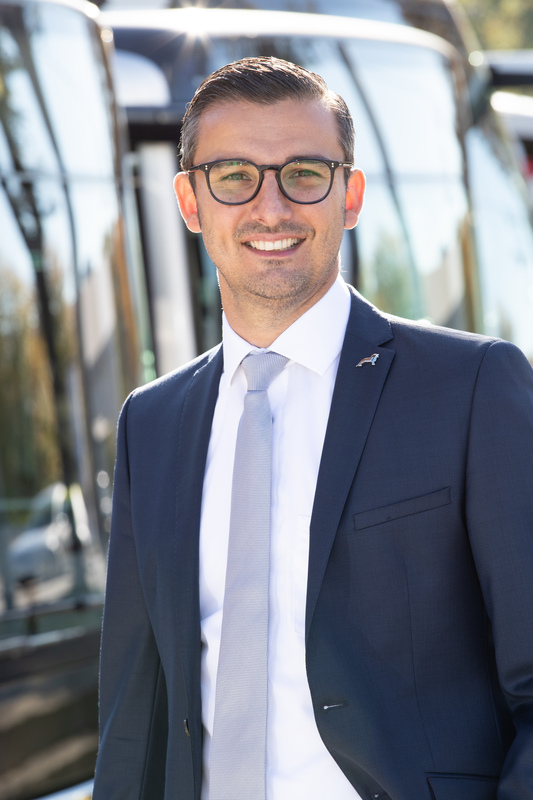 As of 1 September 2018, Sebastian Lindner, 38, is the new bus press officer at MAN Truck & Bus AG in Munich. The university-trained media and communications professional will be responsible for providing information on an international level about both of MAN Truck & Bus AG’s bus and coach brands, MAN and NEOPLAN. Lindner has worked for MAN for ten years, during which time he has held a number of different positions. His last roles involved handling communications on internal and international topics, and heading up marketing and communications for MAN Truck & Bus Middle East in Dubai. Leipzig-born Lindner gained key bus and coach market experience as editor-in-chief of bus customer magazine Buslife, and as a project manager for a variety of bus and coach communications campaigns. He succeeds Anne Katrin Wieser, who has moved on to another post within the company. The new press officer can be contacted by email at sebastian.lindner@man.eu and over the phone at +49 89 1580 63725. As part of his role, he will report to Martin Böckelmann, the head of product communications at MAN Truck & Bus AG.